How To Beat Food Cravings & Eliminate Junk Food. It is hard, changing your eating habits. But it is the absolute best thing you can do for your health. Give up on unrealistic expectations you've placed on your body and how it "should" be. Study up on what junk food ESPECIALLY SUGAR and being overweight is doing to your body. Change habits. Education is the key to long lasting change. Change where you buy groceries. Make sure you stay on the outside edges of the grocery store. This is where they have the fresh produce and unprocessed foods. Avoid drinking your calories, like soda-pop and fruit juice. Replace sugary drinks with herbal teas, lemon in your water, unsweet tea, coffee. Don’t drink zero calorie soda-pop. Repeat positive affirmations. "I am in control", "I am at my ideal weight”, "I love food that's good for my body." The power of the mind is immense, harness it for your own good. Visualize yourself thin. If you see yourself at your perfect weight, you will start to believe it is possible. Go for healthy pick-me-ups. Eat an apple or banana instead of high calorie energy drinks. Set short-term goals! Think about today and not 3 months from now and certainly not yesterday's failures. Find your motivation! Your husband, wife, children, bathing suit season, vacation, long life, health, etc. Contemplate your core values and prioritize the things in your life. Devise a list of things you can do instead of eating. Such as exercise, reading, play with the dog, etc. Use breathing exercises to reduce stress. Replacement food is one of the best tricks for not eating junk food. 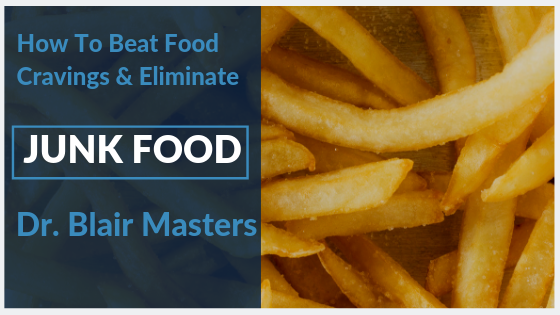 Simply replace any junk food urges with other more healthy alternatives. Weight watchers recently added fruit to their list of foods that can be eaten without restriction. Every time you get a craving for junk food, eat a carrot stick instead. Eat a celery stick. Eat a slice of apple. Eat anything that is low in calories and high in nutrition. It will help with the cravings, and can boost your nutrition at the same time. Junk food not only has lots of calories, bad fats, un-natural chemicals, artificial flavors, artificial colors and who knows what else. Avoiding them can be one of the best things you do for your health.